I am revolting against my fat. Two weeks ago, I resumed P90X’s Ab Ripper X and my abs felt like they were ripping. Not ripping with muscle, ripping in PAIN! Over the holidays I just lost it with my eating. Every sweet thing was in my hand and I thought, my genetics will overcome this. What pride. What a fool. 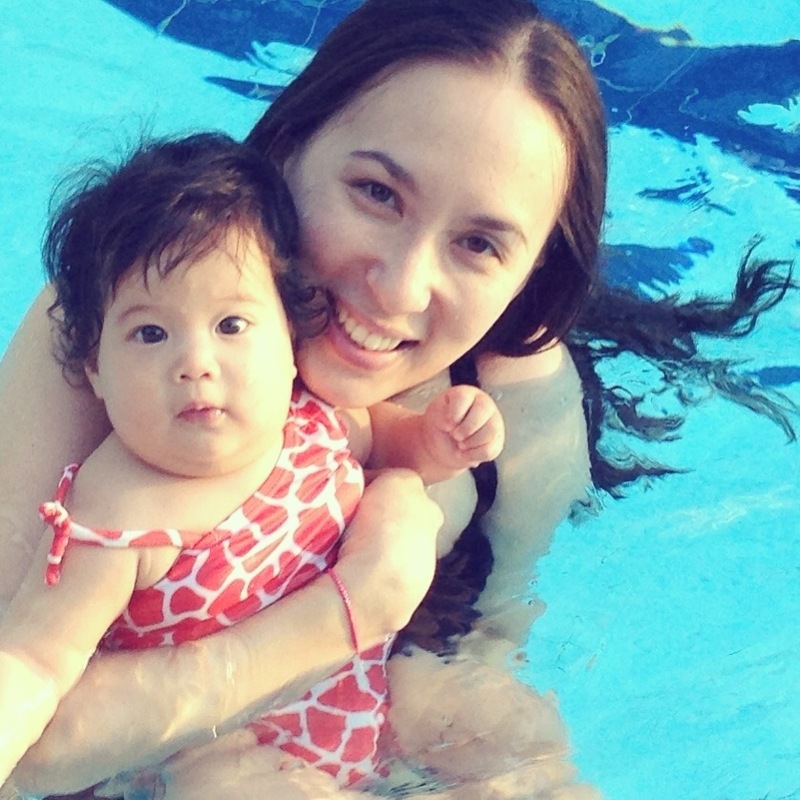 After I gave birth, I was just 6 pounds shy of my pre-pregnancy weight. A month after, I started running and my mom was like, “Your insides are going to fall out.” Okay, so I took a break. A LOOONG BREAK. Now I am 10 pounds away from my pre-pregnancy weight. Darn. I might as well be 5 months pregnant because that’s how much I weighed when I was! Christmas came along, buffet meals, sweets, delectable treats and bam! Pounds. Flabbiness. Muffin top. Tummy. I thought, I’m burning 500 calories a day as a breastfeeding mom. Just shovel it all in. I’m a milk producing machine that needs all of this. I’m hungry. I can eat anything. Reality check. I ate anything and everything and I wasn’t selective and healthy about my choices. Now I have to contend with 10 pounds to lose. At my age, it’s not that easy. I am up against the law of Thermodynamics, the tendency towards atrophy. I’m going to have to work really hard to get my muscle tone back so my metabolism kicks in. I knew I needed to get back into shape when my husband, Edric, mentioned that WE need to work out. Is there any husband in the world that can win this discussion? Of course not. But I really wanted Edric to tell me what he thought my problem areas were. Actually, I just wanted affirmation for what I knew to be true about my problem areas so I would have greater resolve to stop eating so much. So the very next day we ran and did our ab workout. Hoowee. World of pain. But I’m excited. I don’t want to make excuses. It’s safe to exercise now. Catalina is almost 6 months! And I don’t want to grow older without trying my best to be fit and healthy. I like how Edric said it the other day. We need to be fit to fight. Fit to tackle life’s challenges – parenting, ministry, work, etc. Plus, I’m always telling women, we need to try to look our best whatever season of our lives. Now it’s time to eat those words and stop eating junk food and candy. The challenge is on! The first few runs were the hardest because my body was used to a sedentary lifestyle. But exercise is amazing. Once I started getting into a rhythm of waking up early to run, my body began to look for it. It will probably take me a couple of months to lose 10 pounds if I do it the healthy way. I don’t believe in dieting. Diet has the word DIE in it which is very telling. But I do believe in being thoughtful about what I eat and finding the right fitness program for my body type. For example, I cannot lift alot of weights. I will look like a she-hulk. My body easily bulks in a bad way. But running increases my metabolism so that I burn fat more efficiently. And doing abdominal exercises works out my biggest problem area. So it is a good combination for me to do both. I will start out with this and then see what I can add to my routine after a few weeks. It usually takes me about two months to see significant results. I just want to know what it imposed or express when someone is using a word “DARN”? very true about dieting… I have a lot of times tried doing this and it always, always fail me. What I have learned, you need to be conscious of what you eat and ensure that you do not overeat. I think I can almost understand how to do this but it will take time to really get into it because there would be days that you will be tempted!! Hi joy! Where did you buy the P90X? I tried to order online but they only deliver to US and Canada. I love your article but what is ad ripper x? Joy, saw you last Sunday and you look great. I love the phrase “revolting against my fat”, will keep that in mind when I hit the gym along with “sweat is fat crying”! Was it really ok to do ab exercise after 6mos. of giving birth? My baby is 5mos. old, I asked my ob-gyn if I can do sit ups to lessen my belly bulge. But was advised not to, saying it was too early and suggest walking as the safest way to do. She advised me to wait 1year for my body’s full healing and recovery. Yay! that’s a looong wait for me, but better be safe, right?